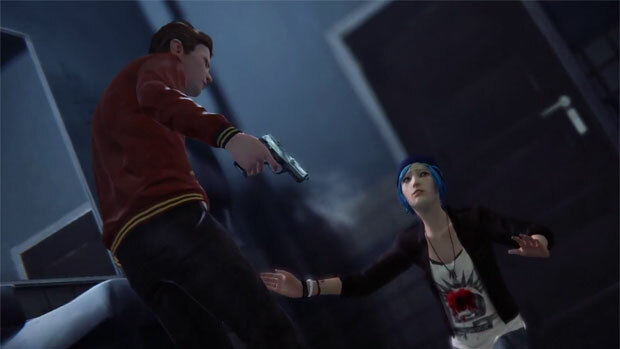 Life is Strange is created by developers DONTNOD and is an adventure point and click styled game that heavily relies on player choice when interacting with other characters. 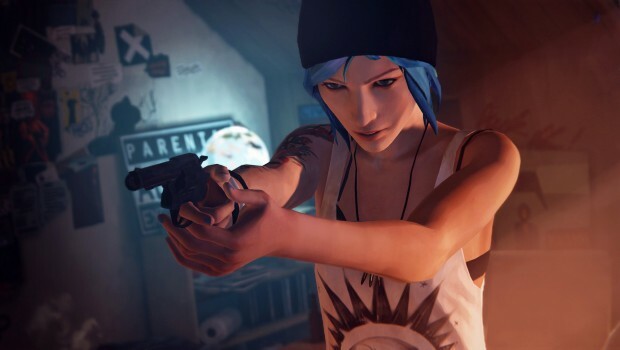 Although the game has a similar premise to Telltale Games The Walking Dead or The Game of Thrones, Life is Strange gives a much more needed illusion of freedom. The protagonist of the game is Maxine (Max) Caulfield who has returned to her hometown of Arcadia Bay with her family to study photographer. 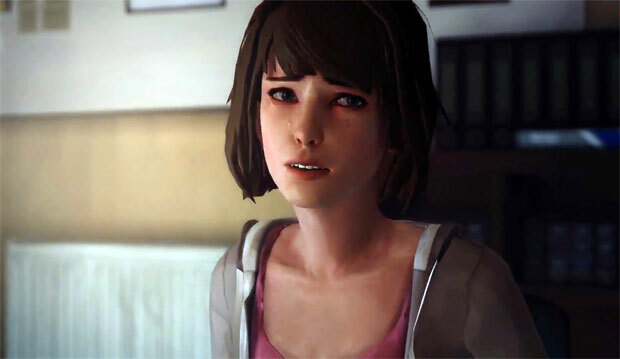 A real highlight of this game is the narrative and that the player is allowed inside the mind of Max herself which successfully mimics the real world issues of teenagers. This is also where the choice-driven narrative comes into play. However just like many teenagers of her age, Max is filled with self-doubt, angst and an uncertainty of what her future holds. Although Max has relatively integrated “okay” into the prestigious school of the Blackwell Academy where she is studying photography, she is still a loner and soon discovers that her old home town of Arcadia Bay has many secrets. 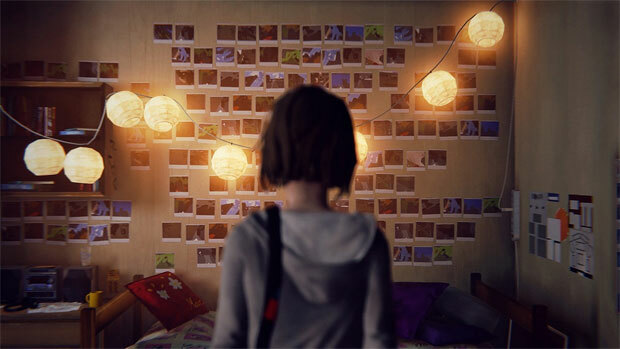 As solace, Max uses an analog camera to take photos and also her journey which both play integral parts of not just the story but the gameplay itself. To really mess with the mind of Max and even the gamer, she discovers that she has the power to literally rewind time in order to affect and change the choices she makes but she still remembers this alternative timeline as well. The catalyst to her power is activated when Max prevents the death of her friend by her estranged boyfriend who happens to be part of the wealthiest family of Arcadia Bay. 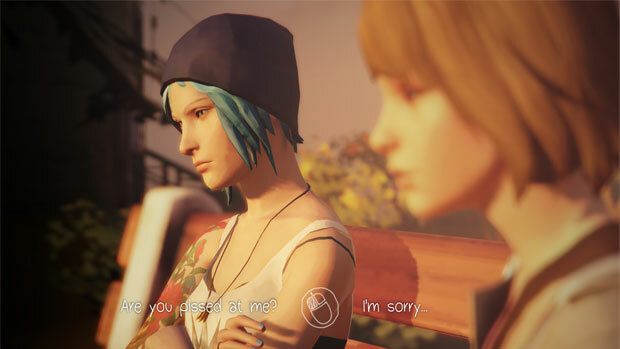 Even though you can rewind time and make a different choice, you eventually need to pick a response and live with those consequences (if any), unless you play the game again so there is a bit of stress involved in should I or shouldn’t I.
Max also reignites her friendship with her former best friend Chloe Price whose rebellious behaviour has gotten her involved with the wrong crowd. Together again, these friends start uncovering the mysteries behind Arcadia Bay with one such mystery revolving around the disappearance Rachel, a fell student who has not been seen for several months. Consider the story behind Life is Strange as Veronica Mars meets The Butterfly Effect with a touch of Twin Peaks and The Perks of Being a Wallflower thrown into the mix. Life is Strange is also part one of a 5-episode season and is created to mimic a TV series which actually works quite well on the PlayStation 4. It feels like you are part of a TV episode from not just the characters and story but also the excellent camera work. The biggest difference between Life is Strange and the Telltale Games is that Max has the ability to rewind time that does dictate how the story will play out and even effects the puzzles. But when Max uses this ability, she retains all knowledge of the previous reality, including any items that she may have found. 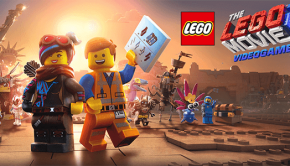 It’s quite an interesting dynamic because it gives the player a considerable amount of scope on how the story may pan out. Given that, there are some choices that you must choose but for the majority, Life is Strange gives the player a decent amount of freedom with all the issues of being teenager such as selfies, social media, bullying and why are some people more popular than others. 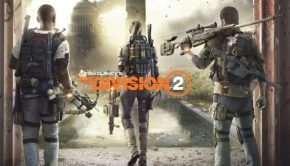 The characterisation in the game is rather good, although at times the dialogue is clichéd and uses way too many stereotypes. The voice acting for the most part is good as well, however at times some of the characters sound like they have been directly taken from those over the top lightgun games such as Time Crisis or The House of the Dead Overkill. Thankfully Max is far superior and the developers have really gotten into her headspace that actually makes you as a gamer care for this fictitious character. Graphically, Life is Strange is good looking game on the PS4 and even though it has a few inconsistencies, there are a couple of graphical glitches here and there such as clipping or lip syncing issues. 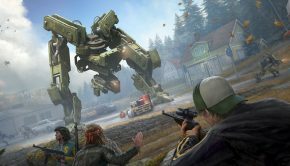 Nonetheless, the developers have successfully created this game with a real country American feel to it with some great special effects thrown into the mix. As the game mimics a TV series, it has this great indie atmosphere to how it is presented from the introduction, the chalk scratches and the great musical score with artists such as Angus & Julia Stone, Alt-J, Jose Gonzales and Mogwai. 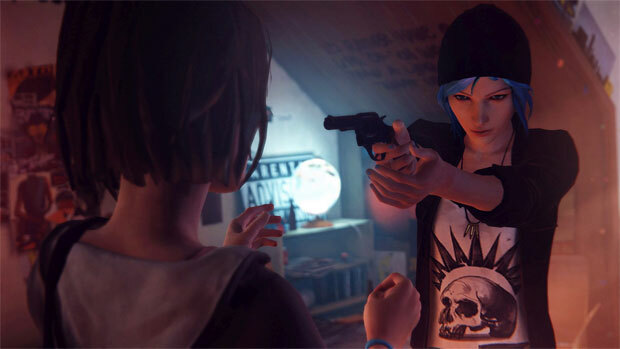 Although quite a short game, Life is Strange Episode 1 Chrysalis definitely brings a unique freshness to the gaming world and definitely gives a great twist and alternative to the Telltale Games. 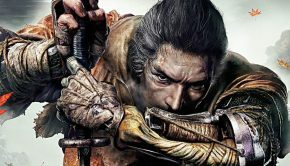 It has a very likeable character that when combined with the interesting gaming mechanics of time travel, it really makes you question the choices you make for Max that ended with me craving for more.